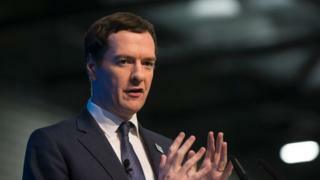 Leaving the EU would be a "one-way door to a much more uncertain world", Chancellor George Osborne has said. He said he thought the hit to the economy if Britain votes to leave on Thursday might be worse than forecast. As campaigning resumes after a break following the killing of MP Jo Cox, Mr Osborne told ITV: "Brexit may be for the very rich but it is not for the working people of this country." Vote Leave said the UK could deal with "whatever the world throws at us". What happens after EU referendum? With just four days to go before Britain votes on whether to remain in the EU, the opinion polls suggest the referendum will be close, with many voters still undecided. UKIP leader Nigel Farage said the Leave campaign may still be on course for victory but that the death of Mrs Cox, who was killed in her West Yorkshire constituency on Thursday, had affected the campaign. "We did have momentum until this terrible tragedy," he told Robert Peston, adding that "when you take on the establishment you need to have momentum". Mr Osborne and David Cameron have both sought to get voters to focus on the economic risks of leaving. Mr Cameron, who is due to appear in a BBC Question Time special on BBC One at 18:45 BST, warned voters in a Sunday Telegraph article that there would be "no turning back" if Britain votes to leave on Thursday and it could lead to "debilitating" economic uncertainty for up to a decade. The PM said the economy "hangs in the balance", with trade and investment set to suffer in the event of a vote for Leave and a "probable recession" that would leave Britain "permanently poorer". He said voters faced a choice between "Nigel Farage's vision - one which takes Britain backwards; divides rather than unites" and a "tolerant, liberal Britain; a country that doesn't blame its problems on other groups of people; one that doesn't pine for the past, but looks to the future with hope, optimism and confidence". George Osborne echoed this message in his Peston on Sunday interview on ITV, saying: "There is no turning back. It is a one-way door to a much more uncertain world, where people's jobs and livelihoods are at risk." He claimed working people would be hit hardest, adding: "British people can't take their money out of Britain. Brexit may be for the very rich but it is not for the working people of this country who will be paying the price for many years to come." And he hit back at claims he had exaggerated the economic impact of a Leave vote. "The central estimate is that our GDP would be 5% to 6% smaller. Personally I think it's possible that it would be quite a lot worse than that. "You can't predict the enormous uncertainty that exiting the EU means for Britain. The trade deals that are suddenly torn up, the fact that we have no product regulation in our country." He also rejected Vote Leave's claims that the only way to meet the government's target of reducing net migration to below 100,000 a year would be to leave the EU. "I've seen absolutely no evidence that migration levels would fall, indeed most of the solutions, or so-called solutions, put forward by the other side in this debate could actually see migration levels increase." 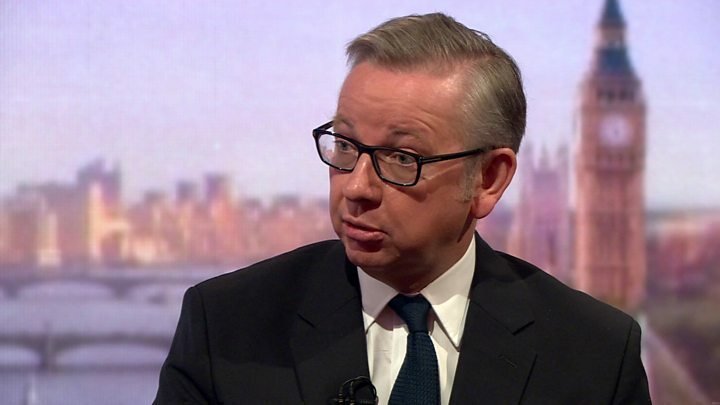 Vote Leave's Michael Gove acknowledged that while there were risks in leaving the EU, it would be an opportunity for the UK to establish itself as a "progressive beacon to the world". "I wouldn't use the word gamble. Whether we vote to leave or remain there are risks to our future, there are challenges in the global economy," the justice secretary told the BBC's Andrew Marr. "My view is that those challenges will be easier to meet, those risks will be less if we vote to leave because we will have control of the economic levers, we will have control over money we send to the European Union, we will have control over our own laws, and as a result we will be able to deal with whatever the world throws at us," he said. "What it would be would be an affirmation of faith and hope in Britain. Britain would be taking its place alongside countries like Australia, Canada, New Zealand and America as a self-governing democracy. "We would be saying that the British people in their wisdom and in their generosity have the ability not just to govern themselves well but to be a progressive beacon to the world." On immigration, Mr Gove said: "I am pro-migration but I believe that the way in which we secure public support for the continued benefits that migration brings and the way in which we support public support for helping refugees in need is if people feel that they can control the numbers overall coming here." 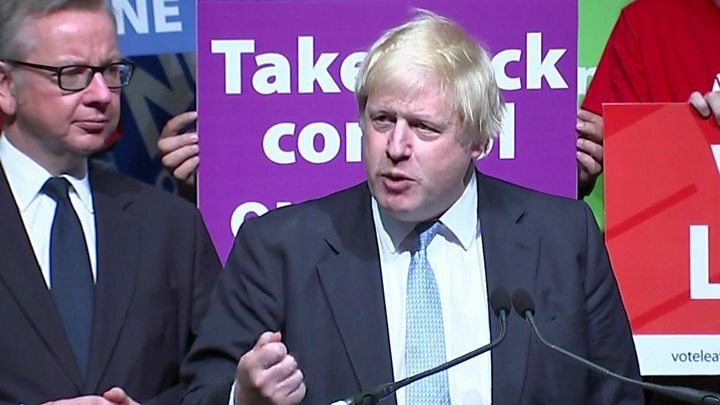 Media captionBoris Johnson MP: "I am in favour of an amnesty for illegal immigrants"
Fellow Leave campaigner Boris Johnson also stated his "pro-immigration" stance in a speech at a rally in London, adding that he would "go further" and allow people in the country illegally to remain if they met certain criteria. He said: "I am in favour of an amnesty for illegal immigrants who have been here for more than 12 years, unable to contribute to this economy, unable to pay taxes, unable to take proper part in society. "And I will tell you why; because it is the humane thing to do. It is the economically rationally thing do to. "And it means taking back control of a system that is at the moment completely out of control."